Crystal Palace’s Aaron Wan Bissaka has caught the eye of everyone and Everton are said to be interested in signing the young fullback who is in the first senior season of his career. The fullback is contracted until 2022, and the Eagles are expected to keep hold of him until next summer at least. But the Toffees are set to test their rivals’ resolve, and reports also convey that Marco Silva could look to offer Evertonian winger Ademola Lookman in an exchange deal to land this talented fullback. The 20-year-old has come up from the Palace’s academy, and he has been with the Eagles since he was 11. Palace would try to keep hold of him, but the rules of nature is such that a bigger one always devours a smaller fish. It shouldn’t be too long before Wan Bissakka is snapped up by one of the top clubs in the near future. Everton currently have the experienced Seamus Coleman for the right-back role but ever since his various injuries, the Irishman hasn’t looked the same and has looked like a shadow of himself in the past year or so. Therefore one can understand why Marco Silva is looking to improve his options for the right-back spot. Fullback is a very critical position is modern day football as they are expected to launch forward and along with that, they provide defensive cover when required. Wan Bissaka’s pace and strength on the ball make him often hard to stop and even defensively, he reads the situations well. The fullback’s quality is such that we believe he can even turn out as an outright winger from the right if he wants to. He will be a great addition to most of the Premier League teams at the moment, and Everton should probably try everything in their means to sign him. 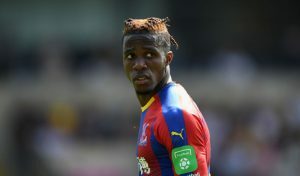 However, Palace are known to be stubborn negotiators as we all saw they kept hold of Wilfried Zaha even though there were some serious interests from top clubs. The inclusion of Lookman into the deal could make things interesting as the Englishman is a decent winger so one cannot count a move out in January but we believe Everton are going to find it tough to land him in January. Arsenal Ready To Give Up Two Youngsters In Pursuit Of This £40m Rated Ace: Wise Move For Emery? 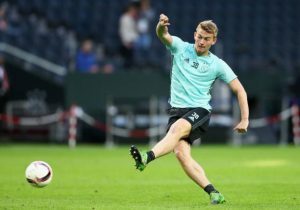 Manchester City Ready To Step Up Chase For Crystal Palace Defender: A Wise Move For The Citizens?